Best10CFDBrokers.com is an independent professional comparison site that provides you free broker comparisons and in-depth reviews of top CFD brokers worldwide. Whether a novice trader or experienced professional, we aim to help you make an informed decision when it comes to choosing the best CFD broker. A CFD (Contract for Difference) is a derivative trade. This means that traders can follow the price movement of an asset, instead of the asset itself when trading contracts. When a trader opens a CFD position on an asset, the trader is agreeing to exchange the price differential between the open position & close position of the contract. There are many benefits available to traders with CFDs. These include trading assets in rising or falling markets, no stamp duty on profits, and 24/7 access to financial markets. The CFD is a financial instrument that parallels the movement of the underlying asset. These assets include stocks, commodities, indices, or currency pairs. Profits/Losses are generated when the price of the underlying financial asset moves relative to the position taken by the CFD trader. Note that CFDs do not require or allow ownership of the underlying asset – they are speculative trades. The client effectively takes a position with the CFD brokerage and the future price of the asset determines whether the CFD finishes in the money or out of the money. The moment a CFD trade is entered into, it will reflect a loss equivalent to the spread offered by the brokerage. As opposed to conventional stocks trading or investing, the initial stock would be purchased upfront and brokerage fees, commission or trading fees would have to be paid. In a sense, the spread with a CFD broker acts in a similar fashion to the management fees with a stockbroker. Compared to traditional stocks trading where small price movements are typically eaten up by broker’s fees, CFDs can offer more profit to the trader when they finish in the money. With CFDs, there is higher leverage, no fees with professional execution of trades, a huge variety of trading options, and no day trading requirements. How to choose a CFD broker? A CFD broker is a CFD broker, right? Wrong! Each CFD brokerage is different. Most brokerages today are available online, meaning that is not necessary to frequent a land-based brokerage or call them via telephone. The online platforms are powerful, provided they are reputable and regulated. Typically, commissions at regulated brokerages range from 0.10% – 0.20%. The minimum trade amount is typically $10 or more, so it is always a good idea to select bigger trades to minimize losses in this arena. Another important factor with CFD trading is the number of CFD options available. For example, traders that offer hundreds of CFDs (Forex, commodities, indices, stocks) as opposed to merely the top 50 or 100 CFDs are preferable. Margin requirements are another important factor to bear in mind. Typically, CFD brokerages remain at about 10%, with variation from 5% to 20%. Leverage can range from 10:1 as high as 400:1, although there are some changes underway with the FCA. Comparison should be made between CFD prices and underlying asset prices, and if the spread is too wide, you may wish to look elsewhere. Look at things like interest for short positions versus interest for long positions – a range of 2% – 3% is the norm. A CFD is comprised of 2 unique prices that are based on the underlying market price. The first price in a CFD is the buy price. This is always priced at a higher value than the market price. If you open a CFD trade at the buy price, profit will be generated once the asset becomes more valuable than that price. The second option is the sell price. The sell price is priced lower than the market price. If you trade a CFD at the sell price, you will generate a profit once the asset has become less valuable than the sell price. The difference between the buy price and the sell price is known as the spread. The buy price is the price that you go long at when you trade CFDs, and the sell price is the price you go short at when you sell CFDs. The difference between traditional trading and CFDs is that you can generate profits with CFD trading whether there are rising or falling markets. CFD trades are highly leveraged options, meaning that you put down a lot less money to take out a much bigger position. This can work in your favour or against you. Let’s assume you’re trading British Petroleum (BP) shares in a CFD format. If the sell price is 455.5£ and the buy price is 456.5£ and you believe that the shares will rise in coming weeks, you could take out a CFD position on BP. You go long with 10,000 BP CFDs, with a commission of 0.1%. If the price rises at a sell price of 460£ and a buy price of 461£, you could close out your 10,000 BP CFDs at the buy price. The buy price increased from 456.5£ to 460£, meaning that the closing value is 46,000£ which is significantly more than the opening value of 45,650£ when you purchased the CFD. The profit before commission is 350£. Commission is typically 0.1% or thereabouts on each trade – when you open the CFD trade and when you close the CFD trade. You may wish to trade Vodafone CFDs by going short on it. Assuming that the price is 214.9£ – 215.0£, you will typically pay 0.1% commission on opening your trade. Two weeks later, the price of Vodafone CFDs may increase to 233.3£ – 233.4£. By selling at the 233.3 price, a loss will be realized. The loss is 18.3£ x 1,000 CFDs on the financial instrument. That translates into 183£, plus the commissions which will have to be paid to the brokerage. As with all CFD options, traders can go long by buying the currency at a future date, waiting for gains to be realized and then profiting. Or, traders can also go short on a CFD option by selling the future currency at a later date and hoping that the future price will be less than the purchase price to realize profits. FXTM is fully licensed and regulated to offer real money trading to clients in multiple jurisdictions. The company is owned by ForexTime Limited, and regulated by CySEC with license #185/12. It is also fully licensed and regulated by the FSB in South Africa, and the FCA in the UK. Markets.com is a leader in CFD trading and forex trading. A wide range of payments processing options is available, including Skrill, Maestro, MasterCard, Visa and others. The educational tools are useful and include a forex education, CFD education, technical and fundamental analysis & webinars . There are certain similarities between CFD trading and Forex trading. The trade execution processes for both are similar, with profits available on rising/falling markets. The pricing patterns and charts for both CFD trading and Forex trading are also similar, and they take place on the OTC market. In other words, there is no central exchange or physical location required. The only cost to the trader in these instances is the spread, and there are no finance fees or commission charges. In both cases, the trader does not take physical possession of the asset, or own the underlying asset. It is a speculative trade only. The differences between Forex trading and CFD trading are stark however. For starters, CFD trading encompasses so much more than Forex. It includes currency pairs, commodities, indices and equities. Forex is strictly limited to currency pairs trading (major pairs, minor pairs, and exotic pairs). CFDs are traded in multiple currencies, and differing values. Forex trading takes place in fixed lots. The factors that determine how currencies will move relative to one another are diverse, and typically encompass geopolitical tension, economic data releases, GDP data, NFP data, central bank decisions and so forth. With CFDs, it is largely related to supply/demand factors and trends within specific sectors. Forex trading is available in multiple formats, including binary options and traditional Forex trading. Traditional Forex trading involves the base currency and the quote currency. In a pair like the GBP/USD, the GBP is the base currency and the USD is the quote currency. The second figure indicates how much of the quote currency is required to purchase 1 unit of the base currency. Forex involves a spread, price point movements known as pips, leverage on a standard lot of 100,000 units of currency, but there are fixed options available in the form of mini lots and micro lots with 10,000 and 1000 units respectively. "A friend of mine recommended them to me. They are by far the best CFD broker I ever used thus far." "I was new in CFD trading and had no clue on how to trade CFDs. 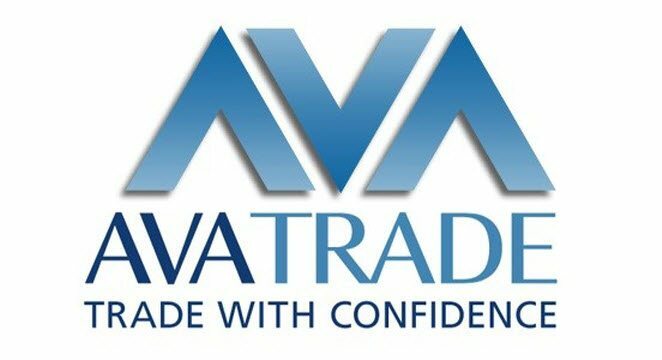 I strongly recommend this broker both for beginners and advanced traders." "As an experienced trader, I think they are great. They offer great options and low spreads along with excellent trading tools."